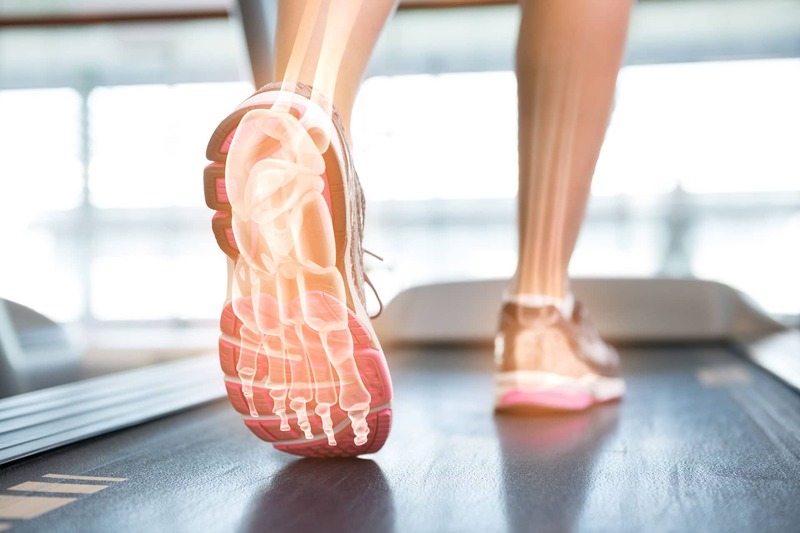 Medical & Surgical Foot and Ankle Care, PC (FootPower.com) and Dr. Keith Naftulin DPM FACFAS provides comprehensive foot and ankle evaluation, and treatments, including surgery. The doctor and care professionals may provide, in-office local procedures, out patient procedure, and in-patient hospital procedures. The following is a list of the services we offer pertaining to common foot and ankle problems. Our office performs surgery of the foot and ankle when necessary to correct injuries and deformities. Examples include bunion and hammertoe correction, Flatfoot repair, revisional surgeries, and fusions of the hindfoot and ankle. An impression of your feet is made out of plaster, and then sent to our laboratory (PAL Orthotic Labs). An orthotic is manufactured based on a prescription from the doctor. Orthotics are indicated for heel and other foot pain as well as to manage foot and leg abnormalities. Thick nails, corns, and calluses are common causes of foot pain. When appropriate a podiatrist can care for these problems. Many diabetic patients will develop ulcerations and other foot problems as a result of the disorder. Periodic evaluations are an excellent way to prevent complications including amputations. Colorado is full of active people. Overuse injuries can occur in runners, hikers and even from walking. Common disorders such as stress fractures, and tendinitis are easily managed. Plantar fasciitis or heel pain, bursitis, and shin splints are very common. We use x-rays when appropriate to manage acute injuries, and chronic foot pain. This diagnostic tool is essential in many cases and can be performed in the office. Acute and chronic nail infections and pain are treated on the same day in most cases. In-office vascular testing to rule out Peripheral Arterial Disease. Many of the products we use can be purchased on-line at our web site. A multitude of other hard to find and “doctor recommended” products are also available. All items can be shipped directly to you within 3-5 days. We provide extra-depth shoes as well as custom and OTC diabetic insoles for the management of our diabetic patients. New technology has made treatment of toenail infections easy and long-lasting. Using the PathoLase PinPointe FootLaser, patients can experience immediate results from a simple procedure with no pain and no side effects. The PathoLase laser kills the pathogens that cause toenail fungus, which not only treats existing infections, but also helps to prevent them in the future. Extracorporeal Shock Wave Therapy (ESWT) is a non-invasive alternative to surgery for chronic plantar fasciitis (heel spur syndrome). This can be performed in our office. A Professional Spa & Salon – Including Nail Restoration, Anti-Fungal Polishes, and Other Remedial & Theraputic Services. All Services Are Provided by a Licensed Technician or Therapist in a Medical Setting With Sterile Equipment. Learn More. Dr. Naftulin is affiliated with HealthOne, Centura Health, and Porter Adventist Hospitals in the Littleton / Denver Colorado region. Out of State? Visiting on vacation or holiday? Don’t let a foot and ankle problem keep you down. Please contact us by email, by telephone – (303) 932-7957 – or by scheduling an appointment on-line.